Students explore the great civilizations of ancient Mesopotamia: Sumer, Akkad, the Assyrian Empire, and the Babylonian Empire. In Scenes 2 and 3, a video and several websites provide information from which, in Scene 4, small groups will prepare a report on the civilizations. In this experience, students explore the great civilizations of ancient Mesopotamia: Sumer, Akkad, the Assyrian Empire, and the Babylonian Empire. They use a video and several websites to obtain information and prepare a report on the civilizations. Describe the history of early Mesopotamia. 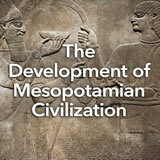 Identify important social and political achievements in Mesopotamian civilization. 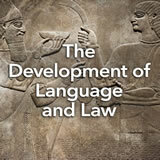 Explain the development of social, political, economic, and religious systems in Mesopotamia. This experience will take you on a trip back in time to the ancient civilization of Mesopotamia. What do you think those two phrases mean? What characteristics do you think a place like that might have? Discuss student responses. 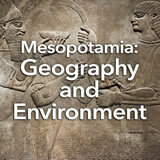 They may know about aspects of Mesopotamia from the Mesopotamia: Geography and Environment experience. As applicable, have them briefly review their knowledge. Then, encourage them to develop several guiding questions for an experience that is focused on history, government, economics, and culture in that region.